British partners, Ezra and Elizabeth Harvey design and make handmade contemporary wooden furniture in their workshop based on the edge of the Loire Valley in rural France. Delivery within France and to the UK at no extra cost . Using sustainable French oak with traditional techniques, they create furniture that is simple, contemporary and built to last for generations. All our furniture is handmade using solid locally sourced sustainable French oak - each piece is beautifully made with a wonderful character and individuality all of its own. Hatti Love is all about the home; your home - and how to make it beautiful. Stunning accessories provide that beautiful finishing touch, and lighting is so important to make a room feel and look just right. I make lampshades by hand. I am happy to accept bespoke orders - please 'phone or email me for details. We're an online store with one aim - to bring you beautiful and unique, high quality home accessories that you won't find on the high street. We have a constantly evolving selection of products to choose from, with new pieces being introduced all the time. We believe that how a home looks and feels can have a powerful effect on our happiness and at Andrassy Living, it's all about understated elegance. We love muted tones with splashes of colour. We love Nordic style with a hint of boho. We love anything that stands out from the crowd, that will add to your home. We only buy it if we really love it. La Di Da is a small interiors boutique based in the market town of Andover, Hampshire. 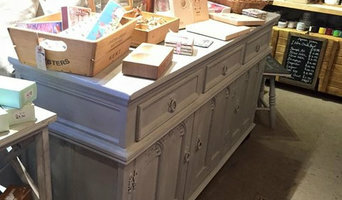 The shop is oozing with hand-painted pieces, Victorian pine dressers and many smaller items of furniture. We have an array of lamps, cushions, clocks and mirrors – everything to make for a cosy country interior. We also have a selection of garden obelisks, structures and benches. We love unusual gifts and we are stockists of luxury cashmere ponchos and hand warmers we also buy British wherever possible and love supporting local producers. As most of the furniture are one off pieces a regular visit is a must. We are the exclusive Annie Sloan Chalk Paint stockist and trainer for the area, and run regular workshops for the local community. Jemma Page and Mimmi Waugh launched Orchid in 2002 to specialise in furniture, lighting and accessories from the Far East. From its London and Hampshire stores and online, Orchid delivers throughout the UK and overseas. The timeless designs available at Orchid include Chinese antique furniture, lighting and home accessories, reproduction pieces as well as the exclusive Mandarin and Beijing Collections are available in its London and Hampshire stores, as well as online. Orchid's products and services are regularly featured and loved by the UK's leading monthly interiors magazines and nationwide newspapers. Orchid works closely with interior designers and supplies both residential projects as well as the hotel and leisure sectors who particularly benefit from the bespoke and sourcing services which achieve exactly the right design, size and colour. Orchid uses natural, solid wood sourced with the environment in mind. Orchid liaiseswith its manufacturers to ensure that the wood with which they work is ecologically sound. Use Orchid’s hand-picked products to introduce personality to your home and to make a statement about your individual style. The beautiful Chinese elm furniture, lighting and accessories will demonstrate your pride and passion for stunning interiors with unique pieces from our exclusive collections. Whether you are seeking a restored Chinese antique for a commanding statement piece, or putting together a large project with a mix of styles, we are confident that owning a piece of Orchid furniture will give you as much pleasure as it does us, bringing these unique pieces to life. Claire Gaudion is an independent British textile design studio creating unique and contemporary rugs, woven and printed interiors fabrics and accessories. Claire Gaudion designs fuse timeless traditional craft with contemporary design. Since our award-winning debut collection in 2013, our focus has been on innovative juxtapositions of colour, pattern and texture. Our contemporary rugs offer a variety of intricately crafted patterns, weaves and textures, each with a unique story, steeped in tradition in both their design and manufacture. For further information please visit www.clairegaudion.com. ‘The World’s Most Beautiful Blankets’. We are a social enterprise that works with international artists and the finest wool mill in Scotland to create ‘Luxury Limited Edition Blanket Art.’. With every Inigo Scout blanket purchased ten children in need of warmth are given blankets of their own. Get One. Give Ten.™ A Good Story: Inigo and Scout are twin brother and sister. They were born very early and very unwell, but enjoyed state-of-the-art care in a western hospital. In the corner of their intensive care unit sat a box of locally knitted blankets. These gave immense physical and emotional comfort to the children in care and their families. Many children in the world do not even have warmth at night as a birthright. For this reason, Inigo Scout was born – a luxury social enterprise that has real impact on real lives. Every time an Inigo Scout blanket is sold, ten blankets are knitted for children in need of warmth, by people in their community. We train this new breed of craftsperson to knit and we pay them to do so. When you buy an Inigo Scout blanket, you are not only paying for a beautifully made, limited edition product. You are bringing warmth to children in need and independence to adults in their community. FTG was launched in 2013. The concept is to supply ready to assemble bedroom and living room furniture into the UK and Ireland markets, with delivery on a NEXT DAY basis. Working closely with our partners nothing has been spared on making commercial products to the highest standards, using quality control from start to finish. It is important that partners are FSC certified, where only the most suitable materials have been sourced from managed forests. 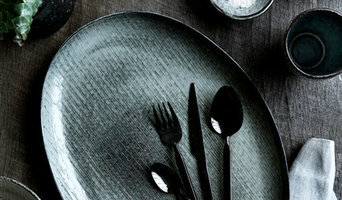 Fabrics, wallpaper and home accessories designer and supplier to trade and retail. Our versatile and relaxed designs are used in many of today’s modern interiors across the world, including top boutique hotels such as Kit Kemp’s Firmdale Hotels, Soho House Oxfordshire, The Pig, Dorset and Hound Lodge, Goodwood. The composition of most of our fabrics is 86% linen, 14% synthetic making them ideal for upholstery, cushion covers and wonderful draped curtains and blinds. Suitable for either a modern country home or chic city flat the latest collection is available in an accessible decorating palette, with its notorious antique ‘feel’ synonymous of our designs. We have a selection of Trimmings too. Standrin is an independent furniture design company, based in Winchester, that specialises in refurbishing classic furniture into contemporary "Luxecycled" style statements. Standrin also produce a range of luxury sofas and armchairs, hand made using traditional methods and upholstered in lush and vibrant fabrics. Drawing inspiration from classic furniture designs, but now with a contemporary edge. We are Custom Creations, a family run business with 40+ years of experience across design, manufacture and installation of bespoke fitted furniture and storage solutions. Our in house team of fitters will turn your vision into reality by designing, creating and fitting furniture that will transform your chosen room. When working in your home, we use the amazing innovative Festool dust extraction unit to keep the area clean and tidy. We know that the way we conduct ourselves in your home is just as important as the bespoke furniture itself. All of our machinery is of the latest technology so that every bespoke furniture piece can leave the shop with a 25 year guarantee. 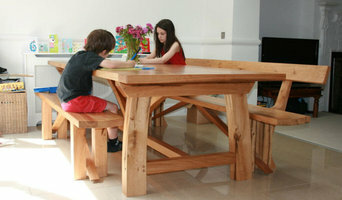 Gaze Burvill create handcrafted Oak furniture and kitchens for the outdoors. 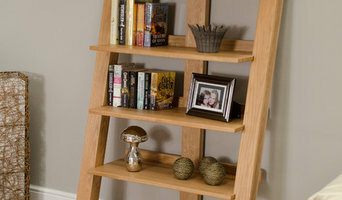 Each piece is designed for comfort, beauty and lasting quality in European Oak from sustainable sources. With over 23 years experience Gaze Burvill's workshop thrives on the talented work of our craftsmen. Over the years many have trained with us and without them we would not be able to create such intricate, innovative designs. Although we now use the latest technology to assist us in making our furniture, every piece is hand built and hand finished to the highest standards. Good design and true originality are at the heart of what we do. We work very hard to make sure that our furniture not only performs well, with a particular attention to comfort, but also looks and feels good. 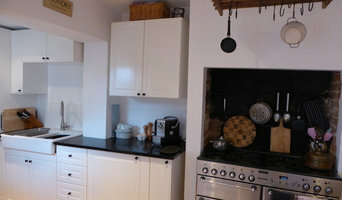 Why should I use a Southampton, Hampshire furniture designer or home accessories professional? Think about what pieces you need or what your vision for the overall look of the room is. Do you have very specific ideas for what furniture you’d like or do you just know the colour palette or the basic type of furnishings and accessories you want? If you have very specific ideas it could be an option to look at Southampton, Hampshire bespoke furniture designers and makers. They will work with you to produce one-of-a-kind pieces to make your ideas come to life. Otherwise, it’s a fantastic idea to hire a Southampton, Hampshire home furnisher to help you choose furniture and accessories to work with your interiors. Professionals with years of experience will have a great eye for picking out the right pieces based on your brief and your room design, saving you the time and stress of hunting down the pieces yourself. However, when not constrained by time, some homeowners can really enjoy the furniture hunting process. Tracking down unique or vintage home furnishings from furniture manufacturers, retailers, car boot sales, showrooms, auctions and home furnishing stores in Southampton, Hampshire can be a real thrill, especially when you find exactly what you were looking for or perhaps something completely unexpected but brilliant nonetheless! If your budget can’t stretch to bespoke, designer or professional-picked pieces, this is also the best and most convenient option. Try browsing through the collections from a furniture manufacturer to see if they have any styles you like, or scour secondhand furniture shops and auction houses if you’re after something with a history. It’s not all about the furniture, though. Your home accessories can provide the finishing touches to any room in the house. Table lamps, plants, cushions, rugs, candles, ornaments, artwork and picture frames are just a few of the accessories you can use to round off the style of your room and add personal touches. It’s easy to find ideas for these smaller furnishings with plenty of Southampton, Hampshire home furnishing stores and their products listed, as well as the furniture designers, manufacturers and makers. Find Southampton, Hampshire furniture designers and accessories manufacturers, showrooms and suppliers on Houzz. Narrow your search in the Professionals section of the website to Southampton, Hampshire furniture and accessories, then choose the nearest area for showrooms and retailers. Or you may want to look through Southampton photos to find furniture designs you like and contact the furniture manufacturers and showrooms directly.